Historical buildings are commonly split into two categories – Grade I and Grade II listed buildings, but what is the difference between the two grades of listed buildings? If a site is labelled as a listed building, you will immediately know that historical value and some form of interest surrounds the building. However, when pressed, there are many people who are unsure of the exact differences between the two labels. More so, even fewer are unsure of what this means for any potential historical building renovation works that can take place on listed buildings, and the relevant permissions that must be obtained. As a result of this, we have put together a handy guide to help you navigate through and discover, not just what grade historic buildings are, but also what this means for you and your property. When Does a Building Become Listed? There are a number of reasons why a building can become listed, but as a general rule, the older a building is, the more likely it is to become listed. The age of the building will play a significant role in whether it is listed, as this can understandably refer to its importance. Primarily, listed buildings will be those which are of special historical, cultural or architectural interest or those which are of national importance and have been deemed to be worth protecting. Similarly, every building built before 1700, surviving in its original condition is listed, alongside most buildings built between 1700 and 1840. As a general rule, a building has to be a minimum of 30 years old to become listed, yet properties built after 1945 will also require careful consideration before being listed. Perhaps surprisingly, it is not currently known how many listed buildings there are in the UK – possibly because there are so many it would be so difficult to count them all! The total number is also difficult to monitor because one entry will often cover a number of different buildings, such as outbuildings on large estates or rows of terraced houses. However, Historic England estimates that there are currently around 500,000 listed buildings. Registering a building as listed not only celebrates its importance and unique history but also serves as a way to protect it. By bringing the property under the consideration of the planning system and the protection of Historic England, it will receive the proper care and attention it needs to ensure it remains at its best for future generations to enjoy and learn from. There are two principal ways to get a building listed – the first is that anyone can nominate a property to be registered as listed, whereas the second will come from Historic England’s own team of specialists. What is a Grade I Listed Building? If a building is listed as Grade I, this is because the site is of exceptional national, architectural or historical importance. It is rare to find a Grade 1 listed building compared to a Grade 2 listed site, simply because of the significance that is placed on such sites. Examples of Grade I listed buildings include popular tourist attractions such as Buckingham Palace, the Houses of Parliament and Tower Bridge. Only 2.5% of all listed buildings fall into the Grade I category. What is a Grade II Listed Building in the UK? 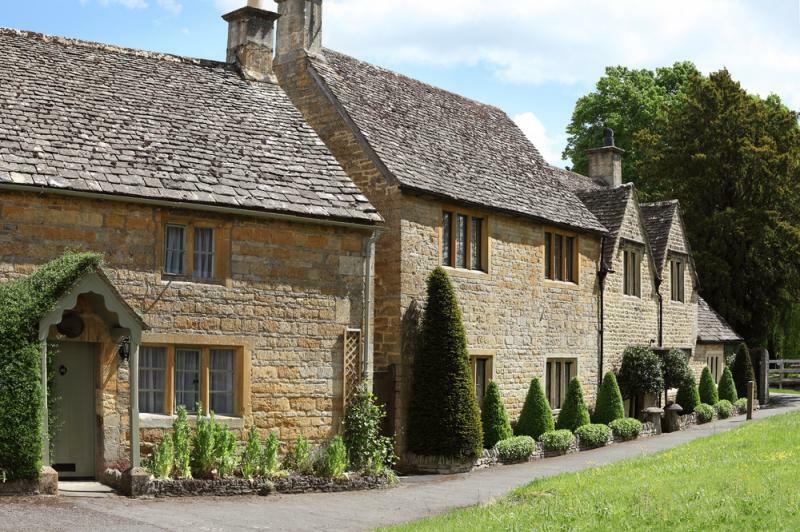 Grade 2 listed buildings are split into two categories – the majority of which are simply labelled as Grade II, while a small percentage are labelled Grade II*, as they are judged to be of particular national importance or special interest. So, just what does Grade II listed mean? Just under 6% of all Grade II listed buildings are listed as Grade II*, with 92% simply labelled as Grade II as they are of special architectural interest. Any building or structure erected prior to 1 July 1948 can be listed. Most listed residential homes will fall within these brackets, meaning that when the owner is looking to carry out historical building renovation work, they must acquire the consent of the local council. What Does a Listed Building Mean? Although listing a building is important as it recognises the property’s historical and cultural significance, it is also important to remember that listing does not prohibit change or require the building to be preserved exactly as it is at that moment in time. In simple terms, it just means that to make a change to the building that could affect its appearance, structure or historical design, the owner of the property must apply for listed building consent prior to completing any work. Therefore, it’s essential to remember that listed buildings should be celebrated for the rich history and heritage that they represent, rather than ending up stuck in time. They should be treated with the utmost care and respect, but this doesn’t mean that they can’t be changed, extended or repaired. While listing status is important, there are always other factors at play such as the function and condition of the building – all of which will influence any decisions made when you submit a planning application. At Concrete Renovations, we specialise in carrying out renovation work on listed buildings up and down the country. Although buildings may be listed under different categories, there is little difference in the planning process or in how to gain consent. For the most part, any renovation works must not drastically change the appearance or feel of the structure and its surrounding areas. When we carry out any concrete or stone repairs, we ensure that the colour and texture of all surfaces match up. During the consultation process, we can give you advice and guidance on maintaining or repairing your listed building, providing you with all the information you need to instruct a good quality repair in keeping with the original design and style of the building. If you require more information about the services that we provide, or what is involved in carrying out work on a listed building, please call Concrete Renovations on 01733 560 362 today.